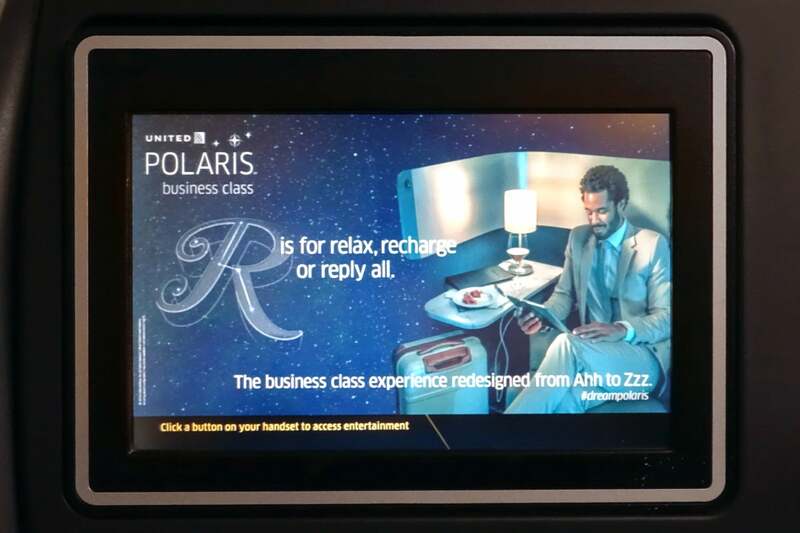 United’s working hard to improve its business-class product, but Polaris is very much a work in progress. 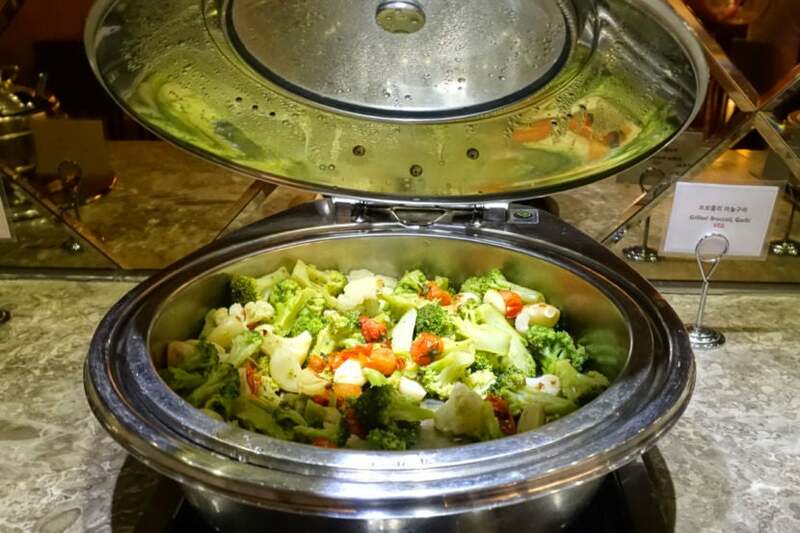 The pros: improved food and beverage, much better bedding and new amenity kits. 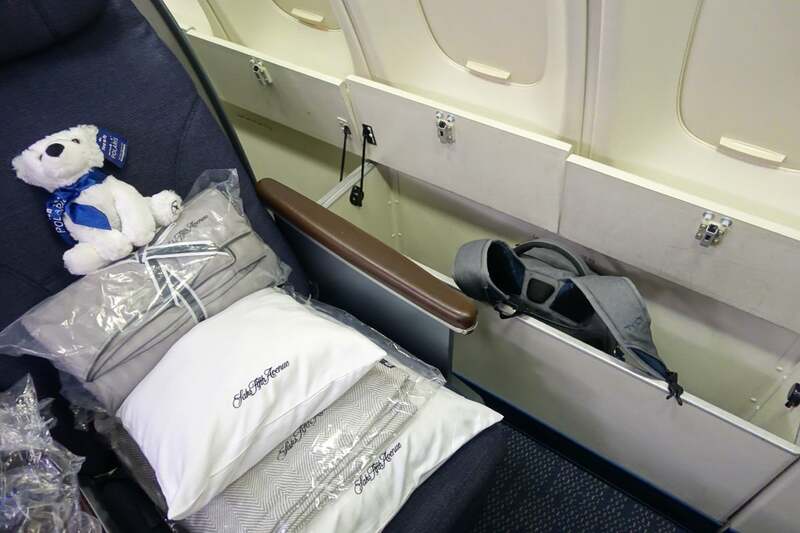 The cons: it’s still the same old business-class seat, and it’s a super-tight squeeze on the main deck. 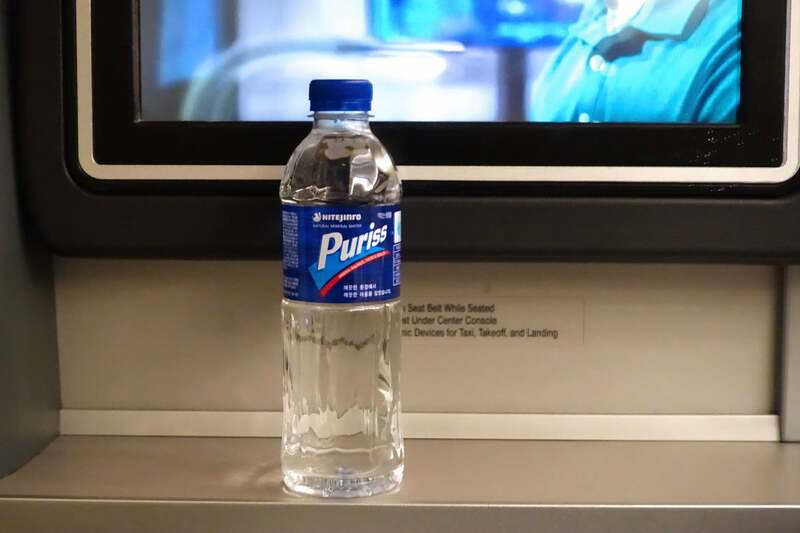 Last week, United launched its new Polaris “soft product,” including new amenities and food and beverage options on board, and a fantastic new Polaris Lounge at Chicago O’Hare Airport. 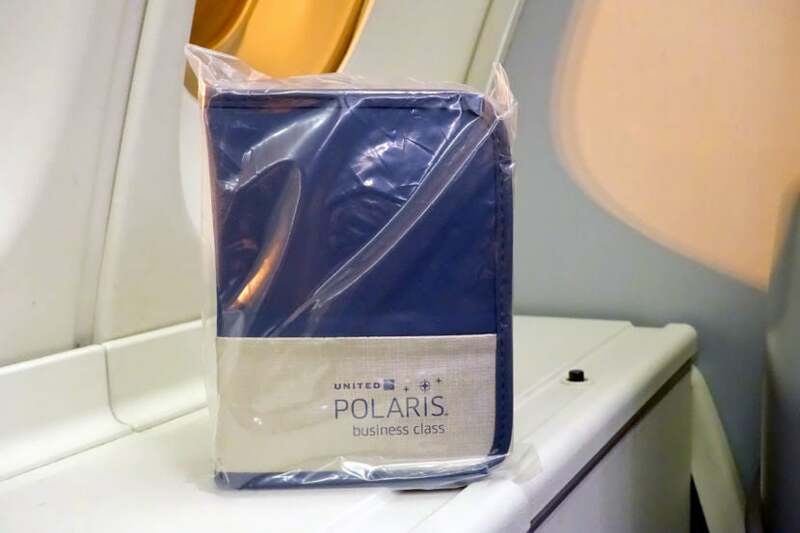 United is rolling out much-improved seats beginning in 2017, but for now, the Polaris service is delivered using the airline’s existing fleet — while you’ll have a better onboard experience, these are the same old BusinessFirst (and Global First) seats you might not be terribly fond of. 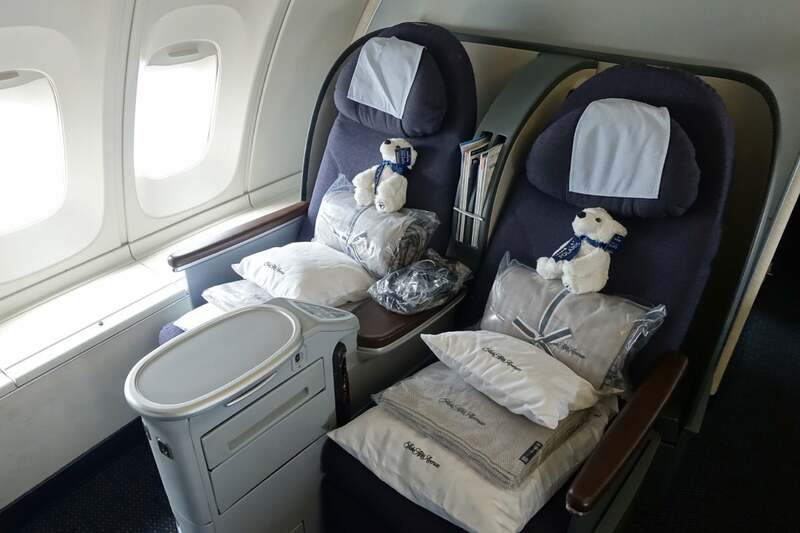 I traveled to Korea via Tokyo on one of the first Polaris flights on December 1, in the first-class cabin (you can read my review, here), and I selected business class (on the upper deck) for the return from Seoul to San Francisco yesterday evening, December 4. 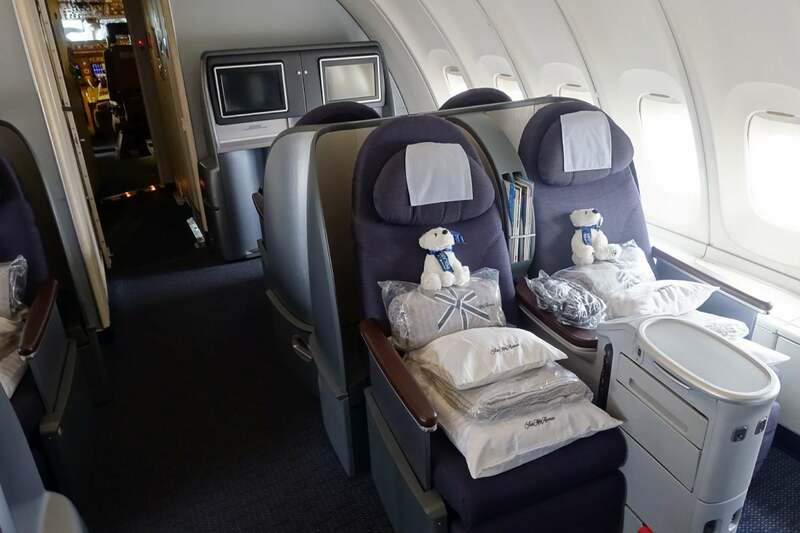 While we prefer to book award flights whenever possible, there wasn’t any availability for the day I needed to return, so I went digging for the most affordable business-class route I could find. 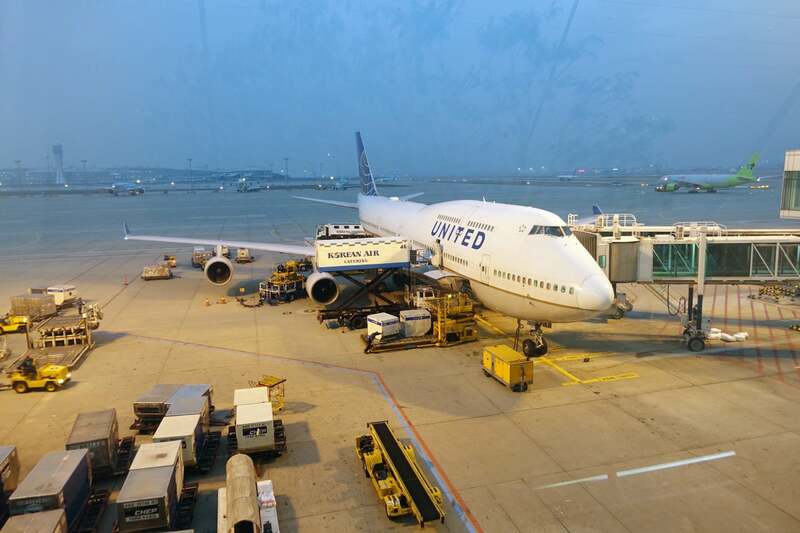 I ended up settling on Seoul to Newark via San Francisco, which ran me $2,162 for the two outbound segments booked in business class, plus a return flight to Taipei booked in “W,” so I was able to confirm an upgrade on that leg using one of my United 1K Global Premier Upgrades. So, ultimately, I’m flying round-trip between Asia and New York in business class for less than $2,200 — not bad at all. 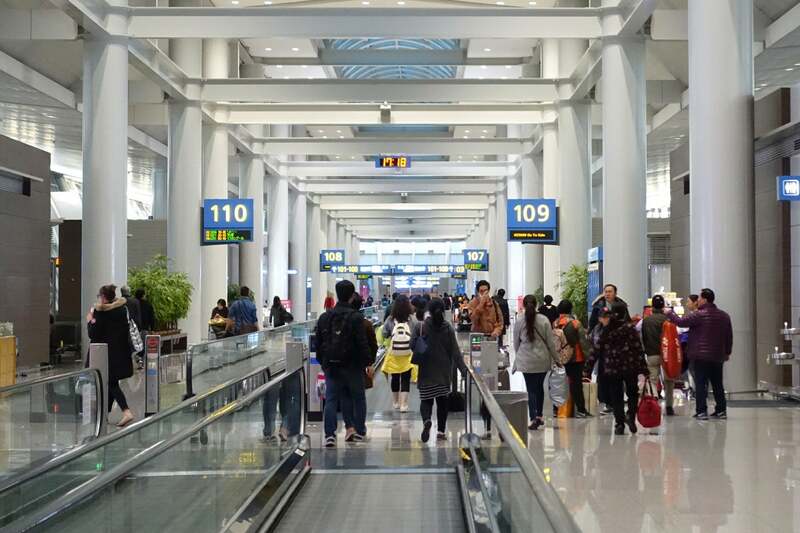 By comparison, a one-way flight in business class from Seoul to New York would have run me $2,207 — still quite reasonable, but adding the flight to Taipei saved me almost 50 bucks, plus it got me back to Asia in biz. Had I been able to redeem miles, it would have been about $50 in taxes plus 70,000 United miles, worth $1,050 based on TPG’s valuations. 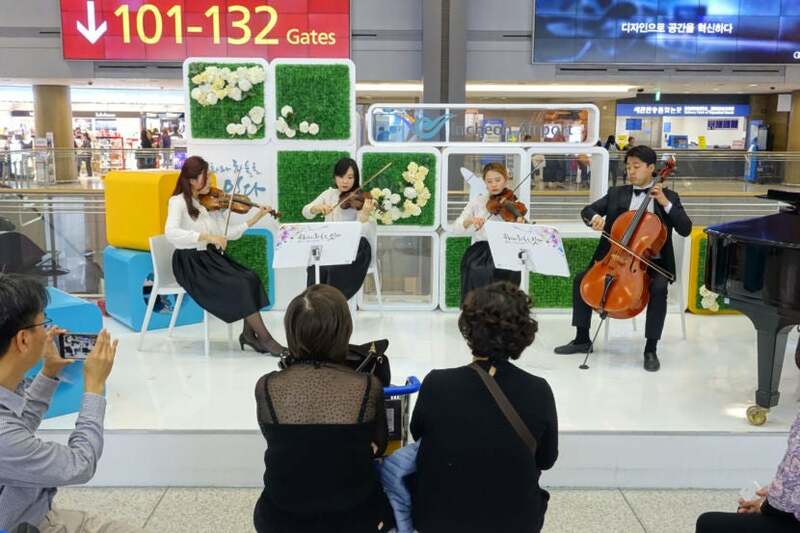 Seoul’s Incheon International Airport (ICN) is often referred to as one of the world’s best — not quite to the extent of Singapore’s Changi, but supposedly people really like ICN. 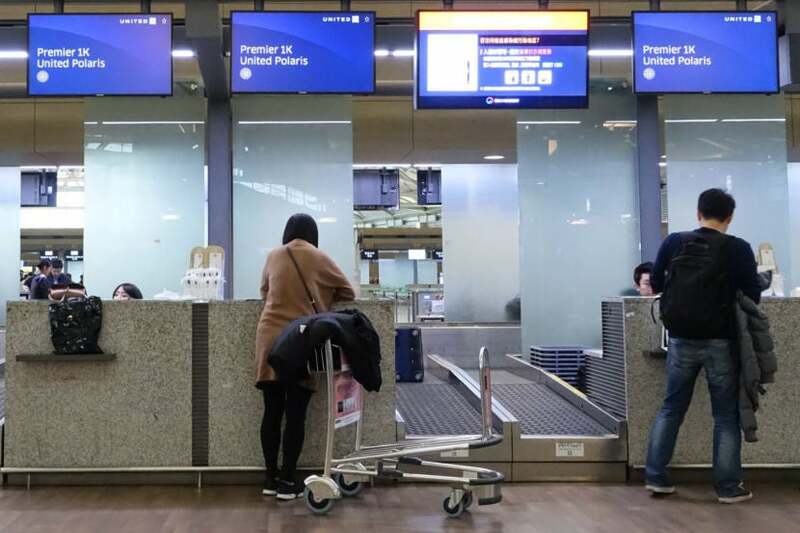 It’s fine, I guess, but between the lengthy security queues and the annoying train you need to take to the satellite gates (where United flights often depart from), it’s hardly anything to get excited about. I quickly found United’s check-in area, which is located in the “J” section. There were three desks marked United 1K/United Polaris, along with a globe circle that (I think?) represents Global Services. After waiting a minute or two, an agent called me up. Assuming I’d departed the US before December 1, she attempted to explain that my flight home would be different than my flight to Seoul (because who flies to Asia for two nights?). She mentioned Polaris by name and described the service as “more convenient,” but didn’t have anything to add beyond that. Alrighty then! I smiled, she handed over my boarding passes and I was on my way. 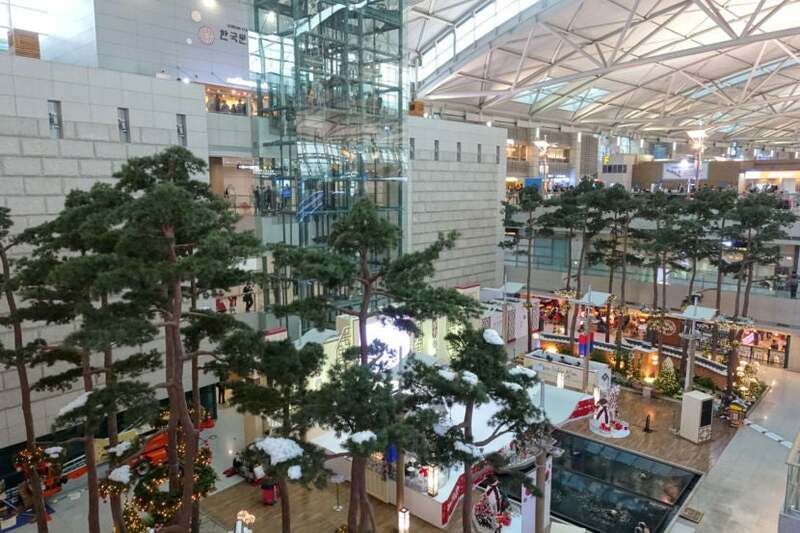 From a “museum” of Korean culture (really just a largish room) to the live holiday-themed music below, there is a fair amount to see in the terminal. Unfortunately my gate wasn’t located in the main area — instead, I needed to take the dreaded shuttle train over to gate 106. Why’s the train such an issue? You need to go down two escalators to get to it, then up three more to get to the other gates, and during the half dozen or so times I’ve ridden it, I’ve found some of the other passengers to be very pushy. 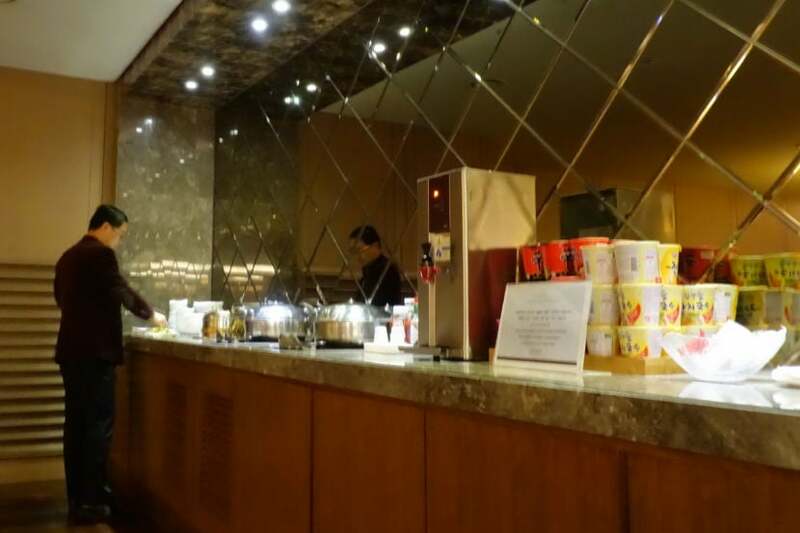 After 10 minutes in transit, I was in the satellite Asiana lounge, which I actually prefer to the super-crowded main lounge. 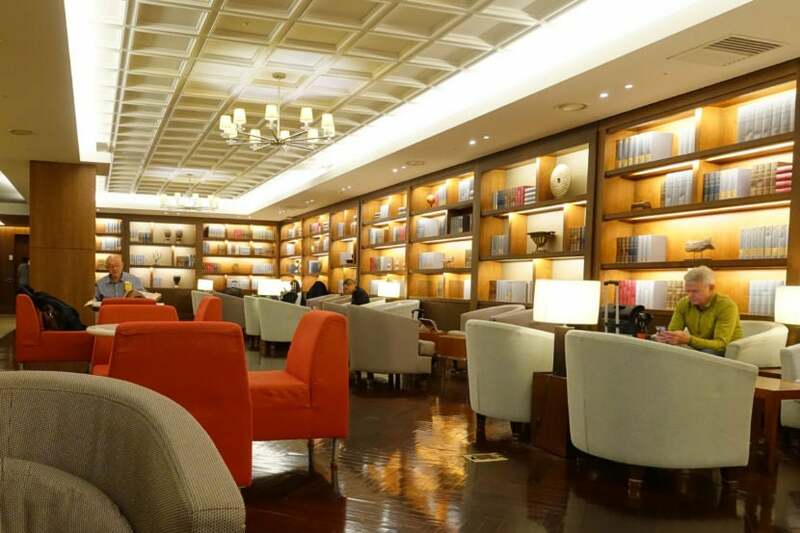 It’s nothing like the United Polaris lounge, of course (and United definitely won’t be adding a Polaris lounge at Incheon), but it’s a pleasant enough place to pass the time. 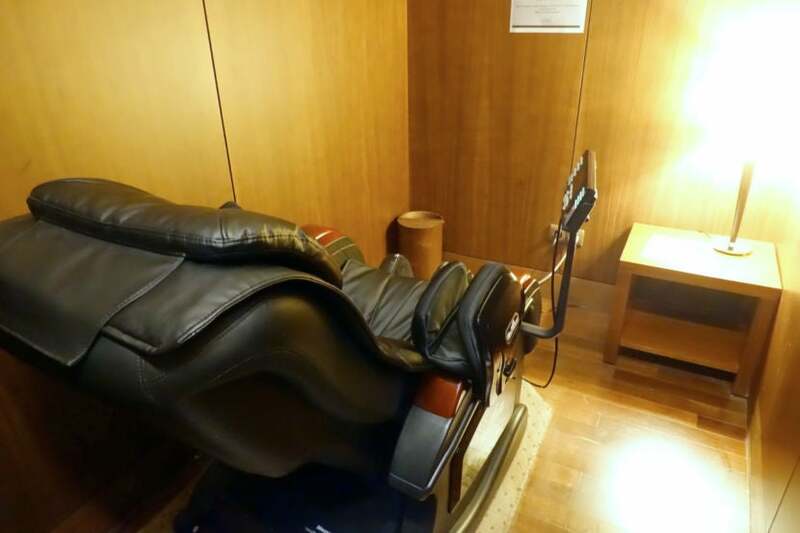 There are a couple of open seating areas and four tiny “relaxing rooms,” each with a fancy electronic massage chair. There are also a few TV areas where Samsung and LG can show off their latest and greatest. There’s not a whole lot to speak of in the food and beverage department, though — you’ll find Cass draft beer and the spirits below, along with water bottles and juices. And then there are basic salad ingredients, instant noodles and two hot entrees. One of the hot entrees was empty and the other (sautéed broccoli) looked like it had been sitting out for quite a while, so I decided not to eat anything in the lounge. The good news is that there’s free Wi-Fi, and it’s decently fast. 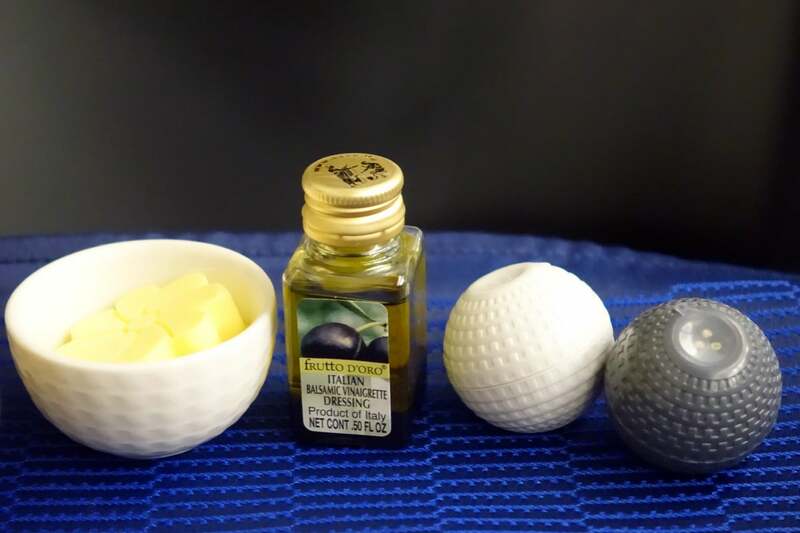 I was able to upload some photos (for this review) without issue. Just before boarding time, I headed to my gate only to find that boarding would be delayed by about 30 minutes (due to a late aircraft arrival). And with that it was time to board the 747. 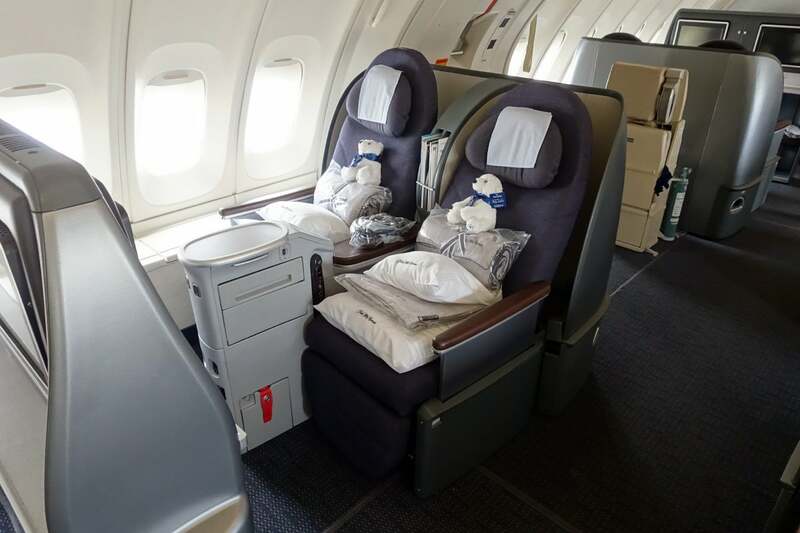 United currently uses two types of business-class seats on its Polaris flights, with a third (and much-improved) seat on the way. 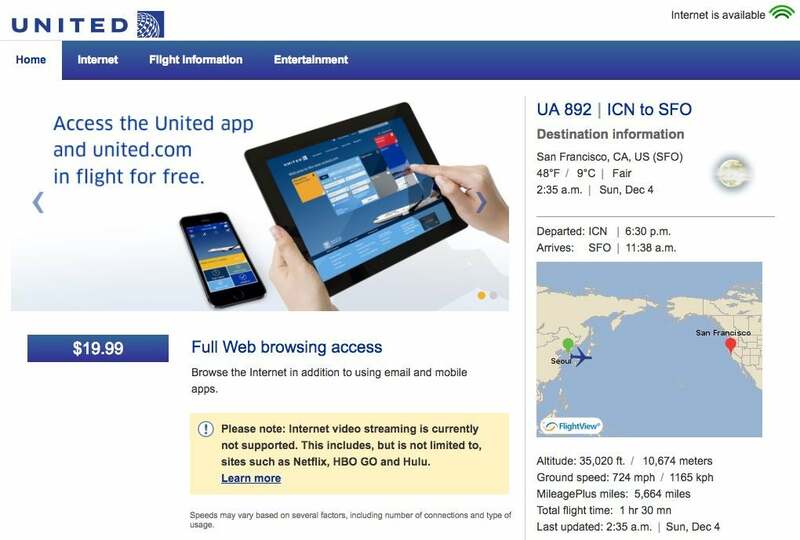 The two available now are the one pictured below (which you’ll find on planes that had been operated by United before the merger), and the one you may have seen in my United Dreamliner review (which you’ll find on retrofitted planes and those that had been operated by Continental before the merger). Unfortunately the 747-400 only offers the United seats, which means a very tight squeeze in business class. 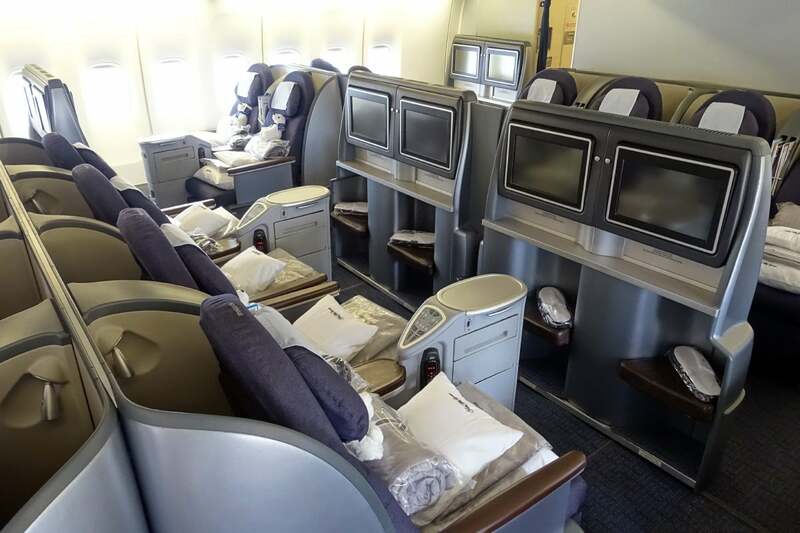 As you can see below, seats are arranged in a 2-4-2 configuration on the main deck, which may be appropriate for economy (or even premium economy), but certainly not business class. 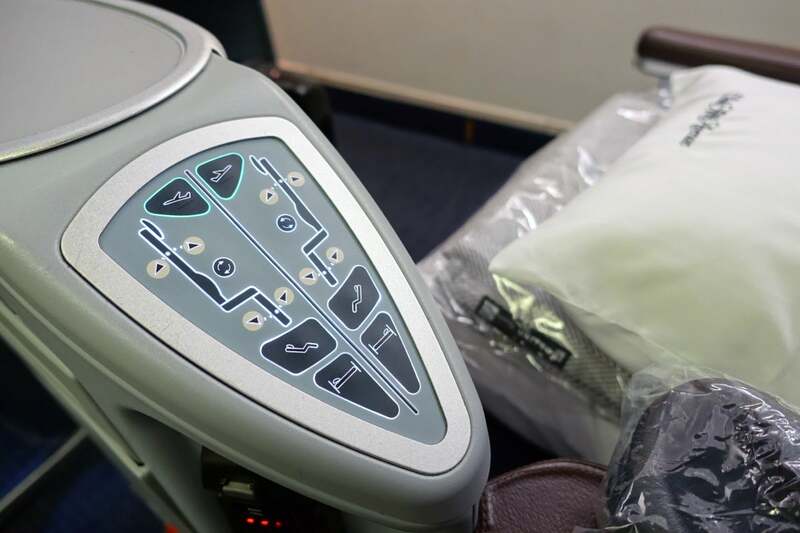 So a passenger who has paid thousands of dollars for this leg could very well end up flying in a middle seat. 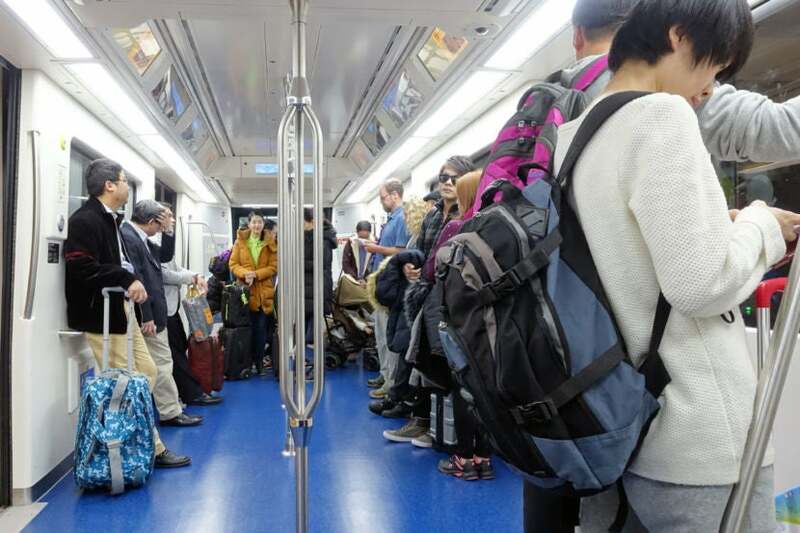 Normally, I point out seats that are better for passengers traveling together, vs. those that are better for solo travelers. 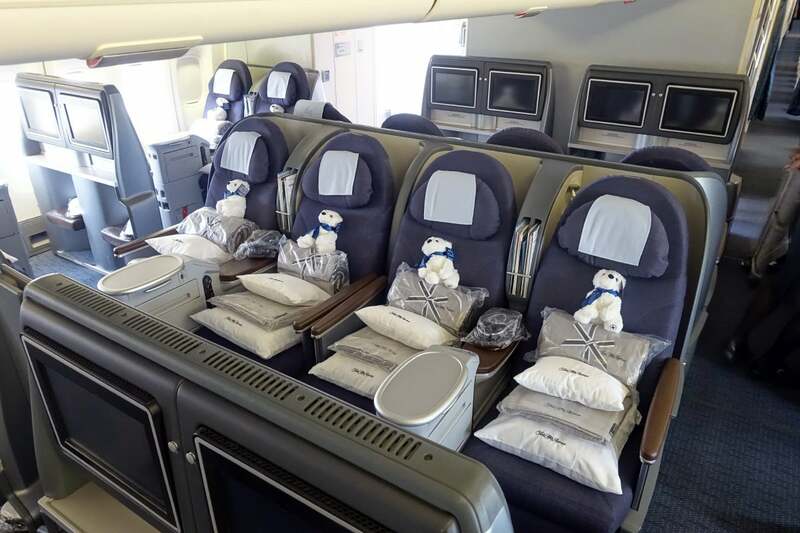 The 747 does have seats that’ll work best for couples (A/D and J/K seats, positioned next to the windows), but these four seats in the middle really aren’t a good fit for anyone. Even if you happen to be traveling with three friends, I’d grab two sets of paired seats, instead. 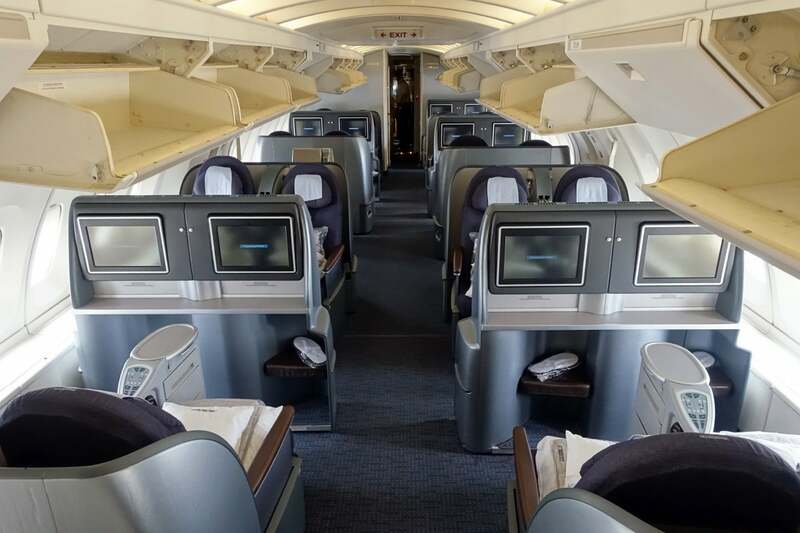 Fortunately, the 747 has an entire section of 2-2 business-class seats, located on the upper deck. I find these to be the least cramped business-class seats on the plane, and you can’t beat flying upstairs! These 2-2 seats have the same layout and design, and, like on the main deck, they alternate between forward-facing and rear-facing (odd, I know). 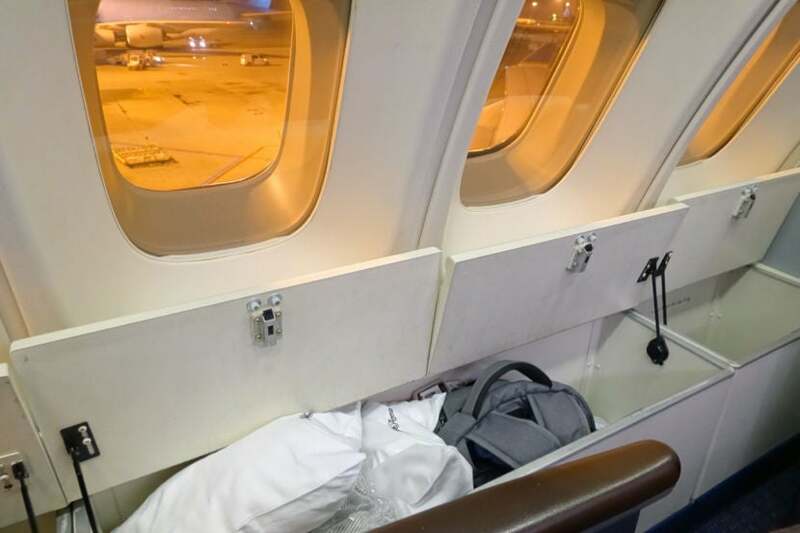 Additionally, window seats on the upper deck have a large storage compartment just below the window, which will certainly come in handy now, given how much “stuff” you receive as a Polaris passenger. 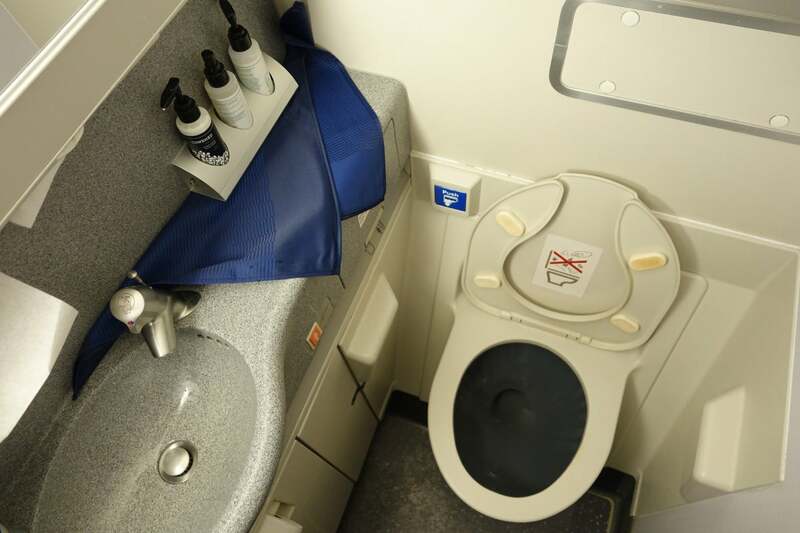 The lavatories were more or less identical to what I had in first class. There are two lavs upstairs, just behind the cockpit. Since I was seated next to the stairs, I found myself using the lavatories on the main deck, instead. I’m no stranger to this configuration, so I selected 17K, a window seat at the rear of the cabin (next to the staircase). 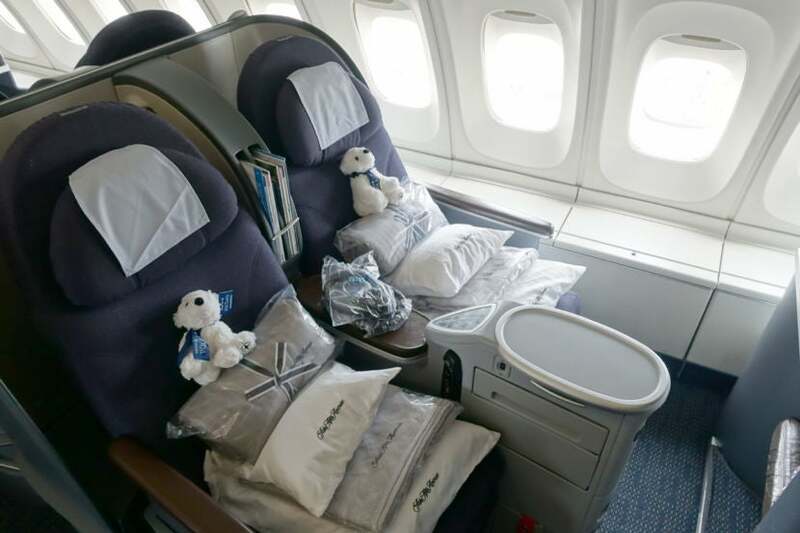 Each seat is loaded up with Polaris goodies, including a large pillow, a small pillow, a light blanket, comforter and — for the first few days — a stuffed polar bear. It really is a lot of stuff, but if you’re sleeping during the flight you’ll probably use it all at one point or another. I tucked my backpack into one of the window storage compartments — it fit perfectly, despite some bulk. I also had plenty of room to stuff in my Polaris pillows and blankets for takeoff. Each seat also has a 15-inch display — it’s fairly sharp, but hardly state-of-the-art. 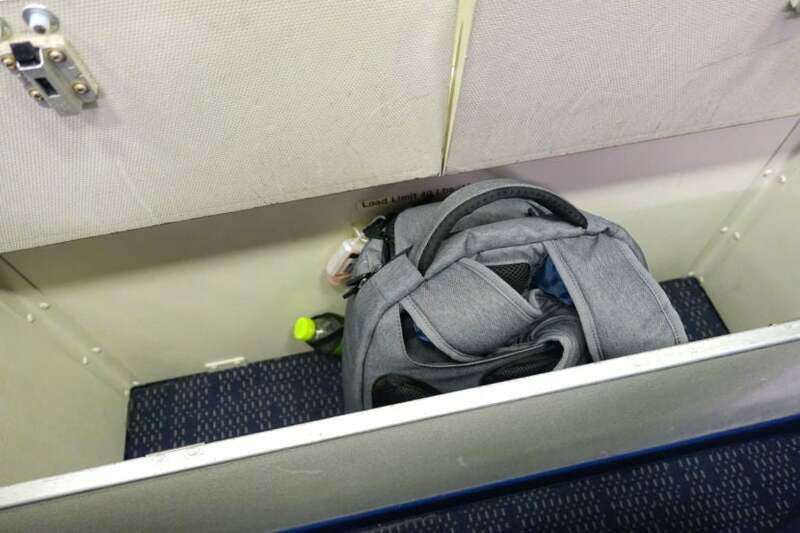 There’s also a small foot cubby and a small storage compartment that can hold a pair of shoes (you aren’t permitted to have a bag under here during takeoff or landing, unfortunately). 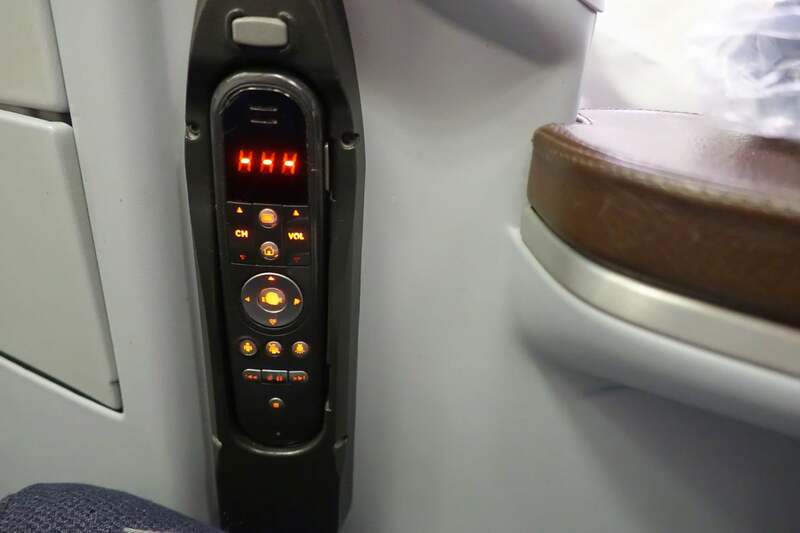 Each seat has its own universal power outlet and USB port. Both were working on my flight, which was quite a relief, considering that they were inoperable in my first-class seat on the outbound leg. You may have some difficulty if you have a “power brick” that plugs directly into the outlet, though, as I did on this flight. If you’re planning to charge a MacBook, be sure to bring the extension cable, since you’ll have better luck with that. Also note that the USB port charges gadgets very slowly, so you’re better off plugging in your phone’s AC adapter to the larger power port. The seat controls, meanwhile, are located on the top of the center console. It’s a bit too easy to accidentally end up adjusting your neighbor’s seat, so I’d avoid reaching for the controls blindly, especially if you’re seated next to a stranger. 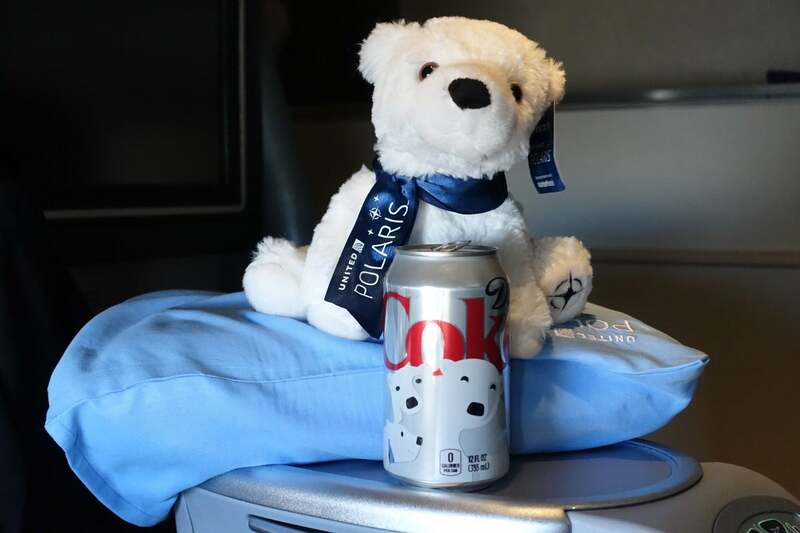 In addition to all the bedding items (and stuffed bear) I outlined above, passengers receive a new Polaris-themed amenity kit. 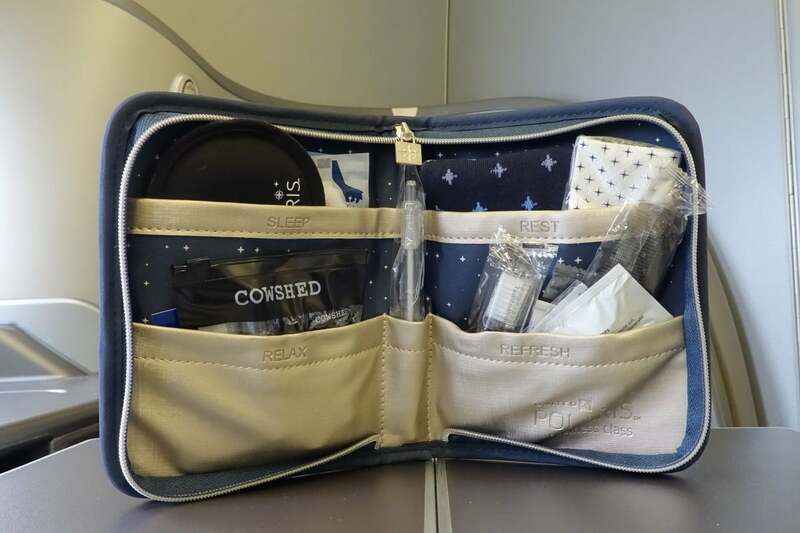 And here’s the kit with all of its contents — you’ll get the usual staples, like a toothbrush, toothpaste, eye mask, earplugs, socks and a pen, in addition to tissues, mints, hand sanitizer, lip balm, moisturizer and a comb. 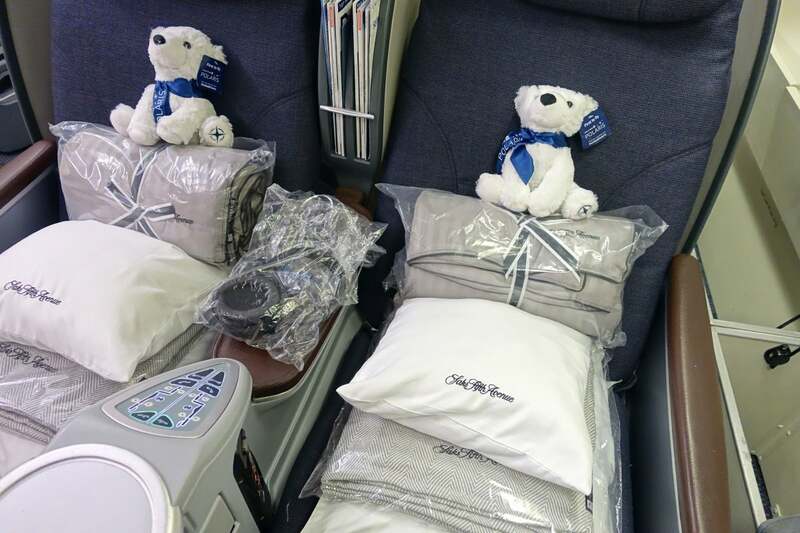 Polaris customers can also request pajamas on all flights 12 hours or longer. 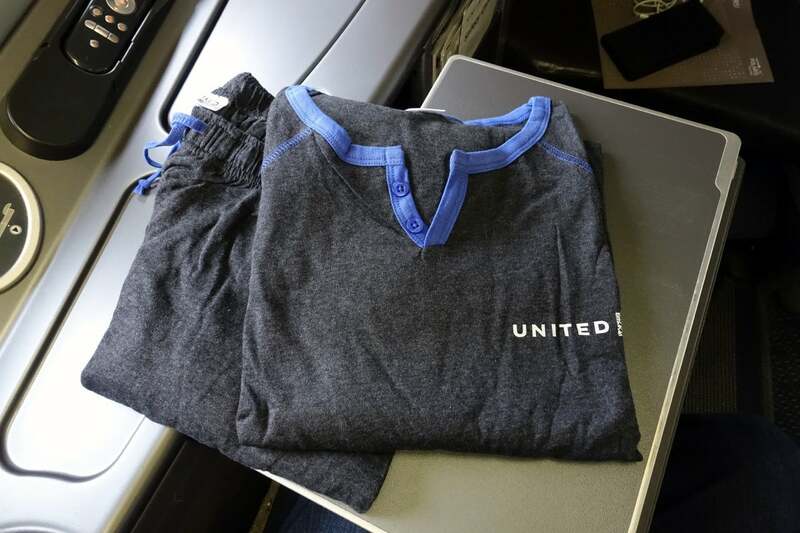 Interestingly, the flight attendants weren’t offering pajamas on this Seoul flight, even though there were some on board. Apparently there’s some confusion regarding which flights are eligible. Since San Francisco to Seoul is blocked at 12 hours and 35 minutes, that flight should have pajamas, and, from what I understand, the return flight would as well, even if it’s less than 12 hours in length. I’m not surprised that there’s some confusion this early on, since Polaris launched just five days ago, but hopefully United can get everyone on the same page quickly. 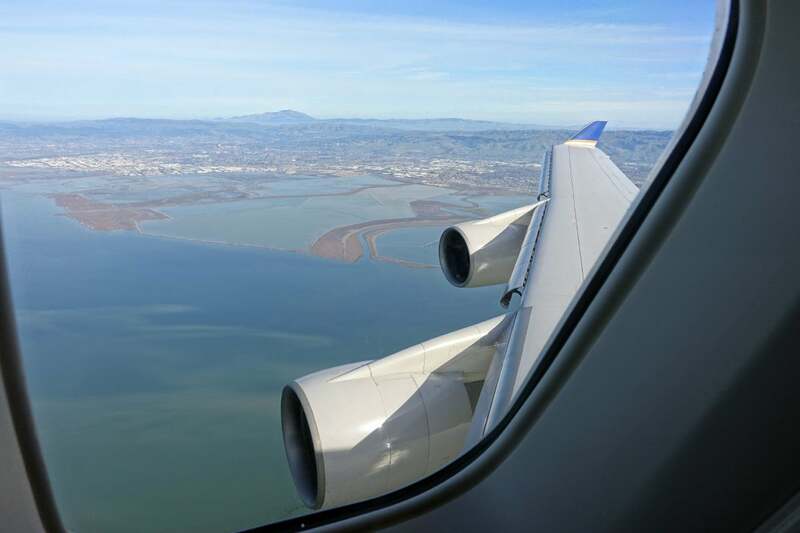 Like the outbound flight (on this same aircraft), the 747 offers decent satellite Wi-Fi. Interestingly this was priced at $16.99 on the longer outbound, but $19.99 on the much shorter return. The Wi-Fi is decently fast — you won’t be streaming HD video (or uploading much of anything), but it gets the job done for email, instant messaging, browsing the web, etc. 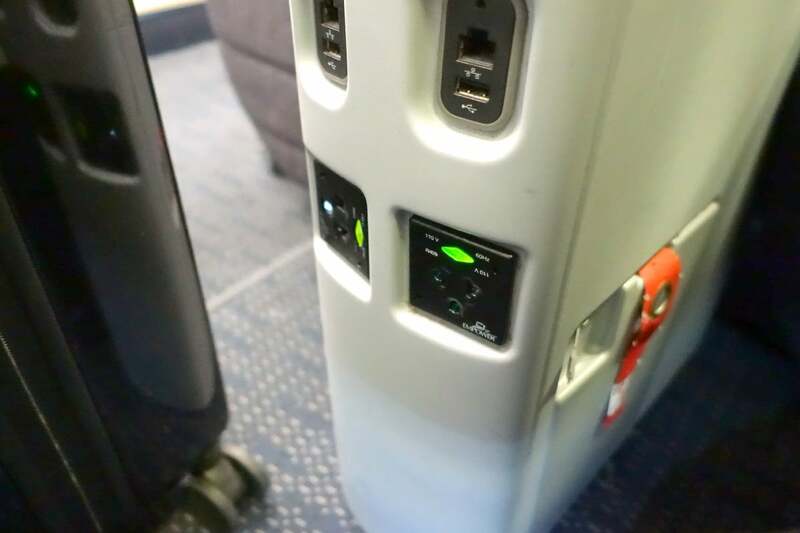 I covered the in-flight entertainment system in detail in my first-class review — and given that the content is identical, I won’t review it again here. 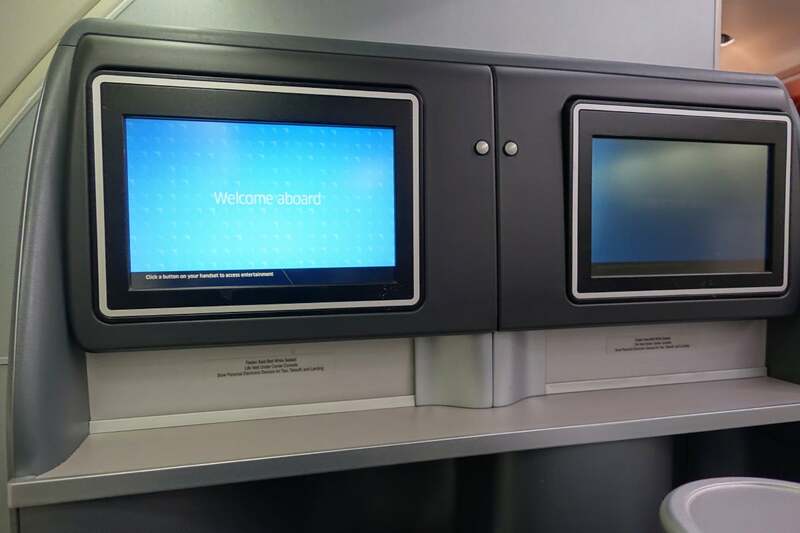 Business-class seats have a very similar 15-inch screen, with the only real difference being the housing around the display. There’s a wired remote, or you can tap the screen to select your content, instead. Business-class seats have the same noise-canceling headphones as you’ll find in the first-class cabin. 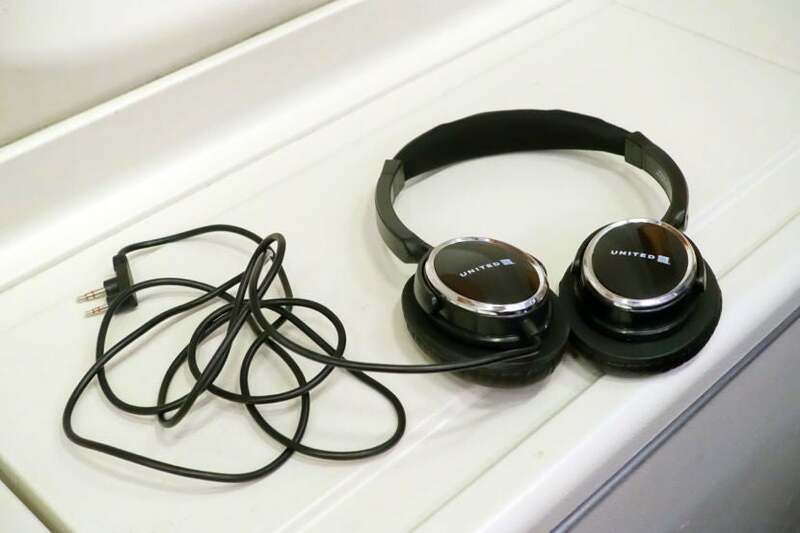 They’re decent enough, but if you have a Bose headset (or something similar), I’d plan to use your own. My headphone jack ended up being very temperamental. 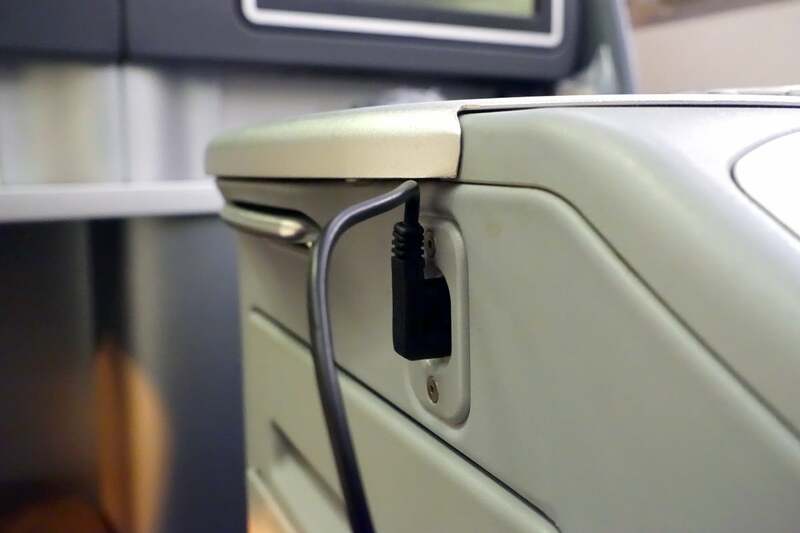 I was only able to get sound out of both sides with the cable positioned very carefully, and if I bumped it during the flight (which happened a few times) the right side would drop out. The crew definitely wasn’t surprised that I was having issues since these seats are really showing their age. 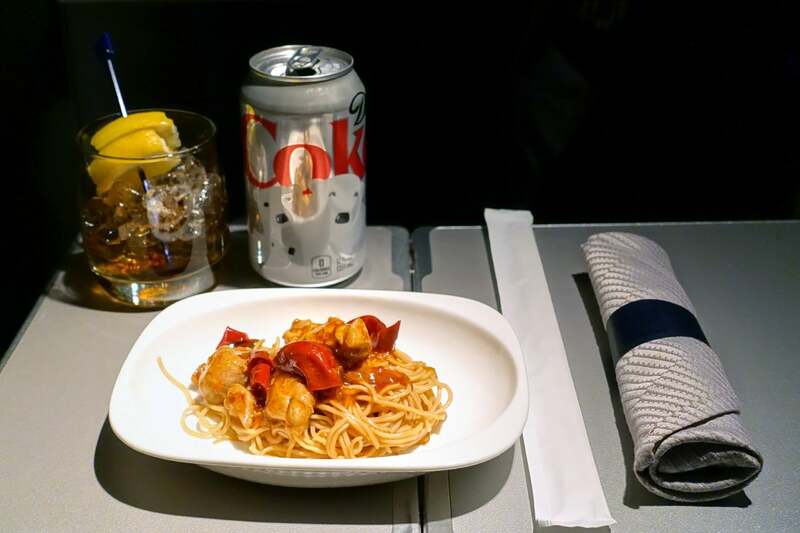 The food and beverage offerings are nearly identical in business class as they are in first. 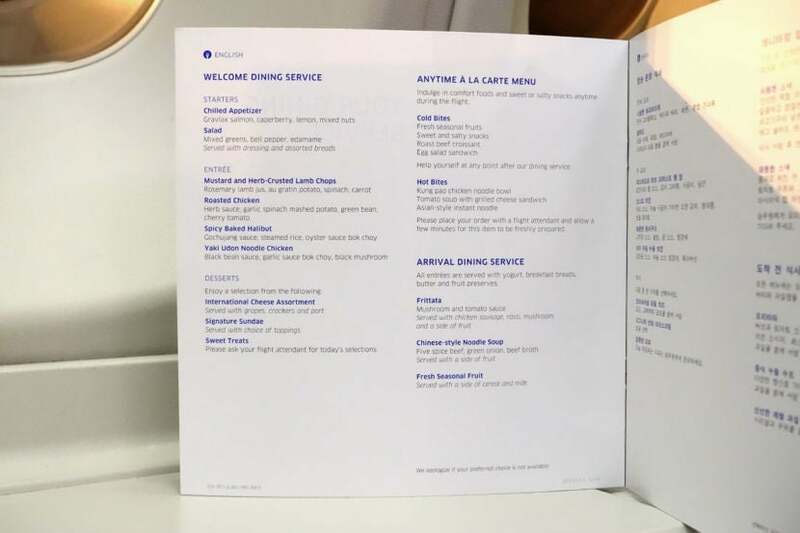 The only real differences are that first-class passengers get a small soup course, and the “cocktail snack” is a skewer instead of a small piece of chocolate. 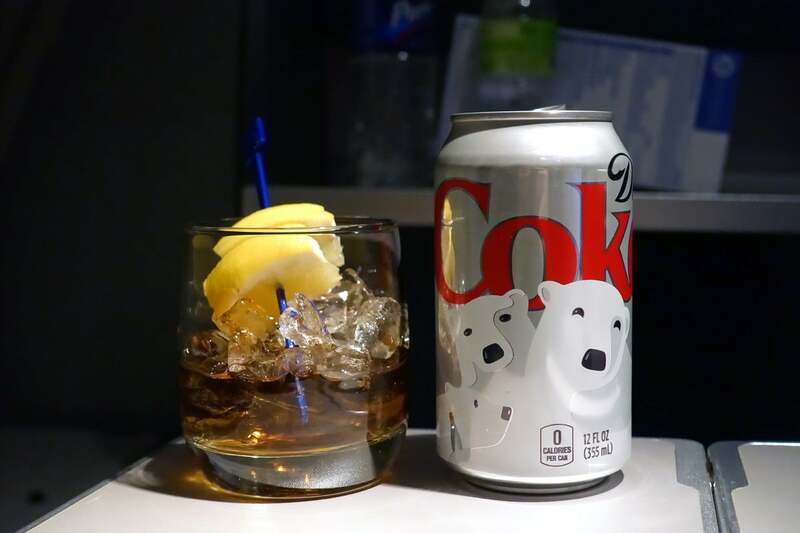 Interestingly, this flight didn’t have a cocktail snack, and it wasn’t listed on the menu. I also wasn’t offered a pre-departure beverage. 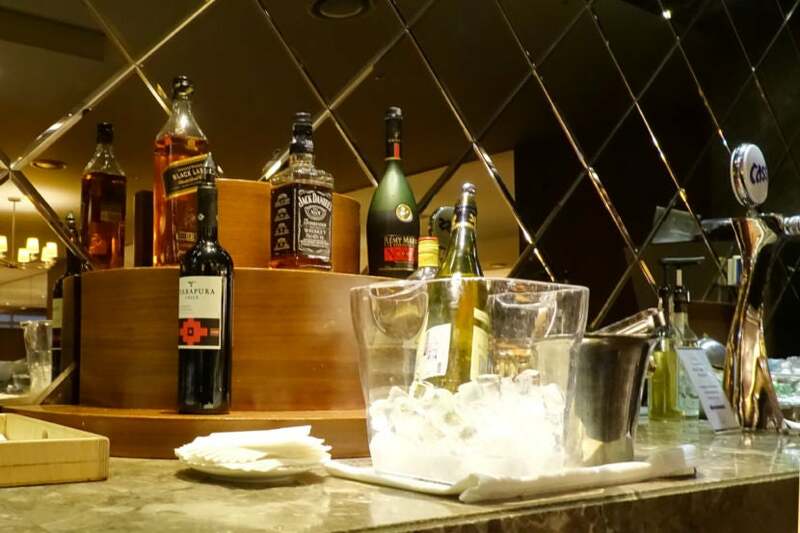 The first time I was offered anything, really, was when the wine cart finally reached my row, roughly one hour and 20 minutes into the flight. There wasn’t any turbulence after takeoff — it just took a while for things to get started for some reason. It also didn’t help that I was sitting at the far back of the cabin. 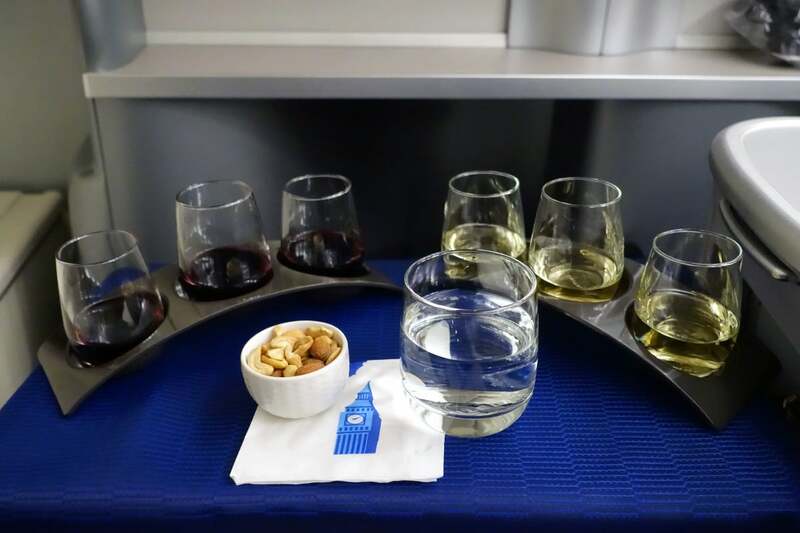 When the flight attendant arrived at my row, I requested a wine flight. She initially only wanted to give me reds or whites, but I requested twice to try both. Since I was in the last row and there were several tasting sets still available, it didn’t seem like it should be an issue. I was also served nuts and Pellegrino sparkling water (which the crew seemed to run out of very quickly). 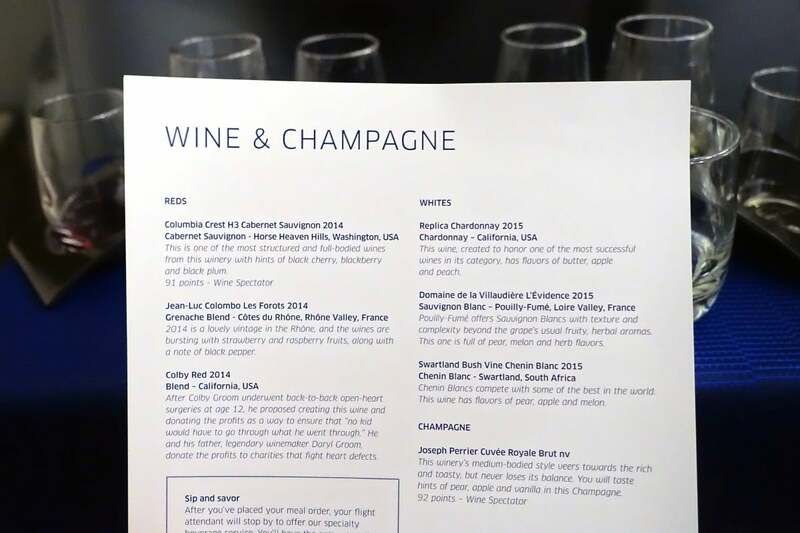 While I didn’t realize this before the flight, business and first-class passengers receive different wines — and a different Champagne. There weren’t actually any wine cards on the upper deck, so they weren’t handed out. When I asked to see one the flight attendant didn’t know what I was talking about, but she was able to dig one up on the main deck. One big difference between first and biz is the size of the tray table. 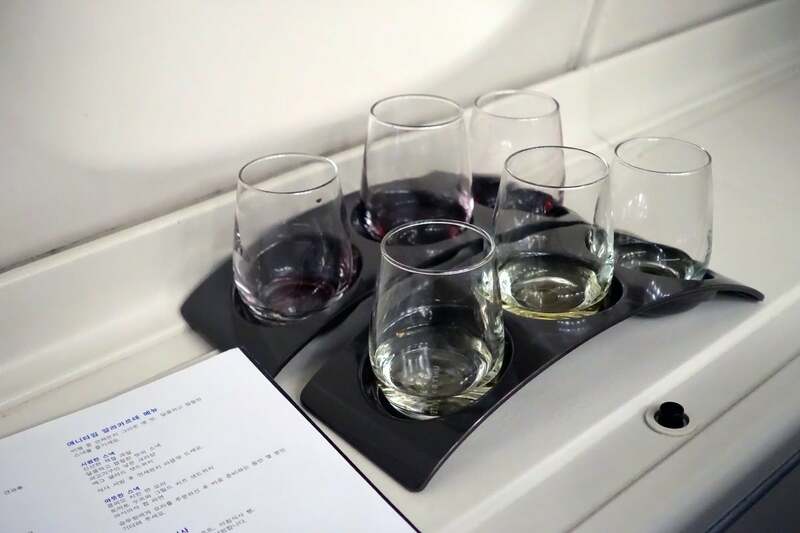 I barely had room for my two wine flights before beginning the meal, but there definitely wasn’t any space once the flight attendant came by with my tray. Here’s the menu for the flight. 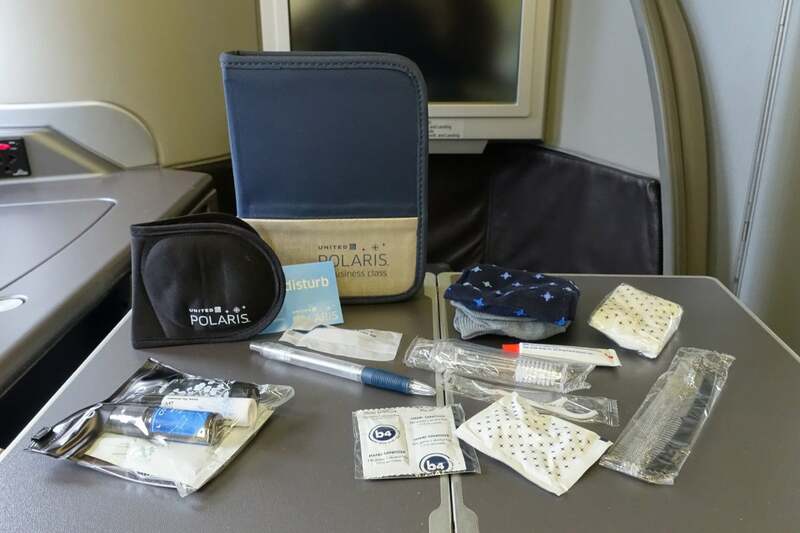 Everything’s different than what I had on the Chicago to Tokyo flight — I guess that’s where the 1,900+ new Polaris items come into play! While I received an appetizer followed by a salad in separate courses in Polaris first, both dishes were served together on the same tray in business, along with garlic bread and focaccia. 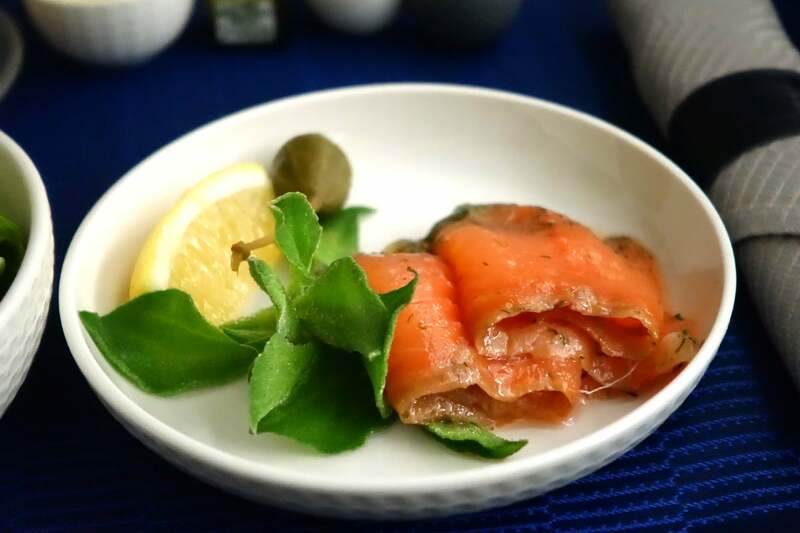 The salmon appetizer was delicious — very moist and not too salty. I got the same new globe-shaped salt and pepper shakers. Note the pattern on the butter dish below and bowls above as well. Very good attention to detail! For my entree, I selected the Spicy Baked Halibut — it was actually really spicy. By far the spiciest dish I’ve ever had on a plane. The rice was good (not too dry) but the bok choy was a bit overcooked. As you can probably tell, I really liked this dish. 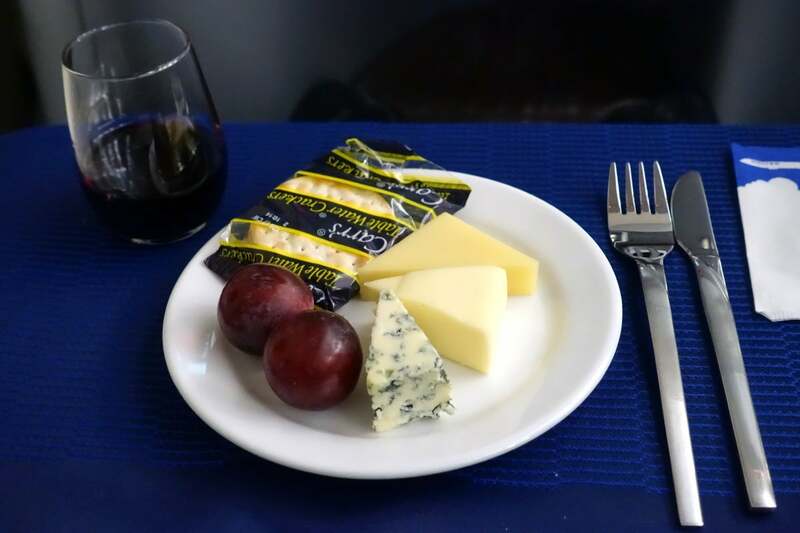 A few minutes later, a flight attendant came by with three pieces of unidentified cheese and a glass of port. Everything was great, and this cheese plate wasn’t nearly as cramped as what I had on the flight from Chicago. Then it was time for the dessert cart! I got an ice cream sundae with the works again. The toppings were quite a bit different, but it was very good. 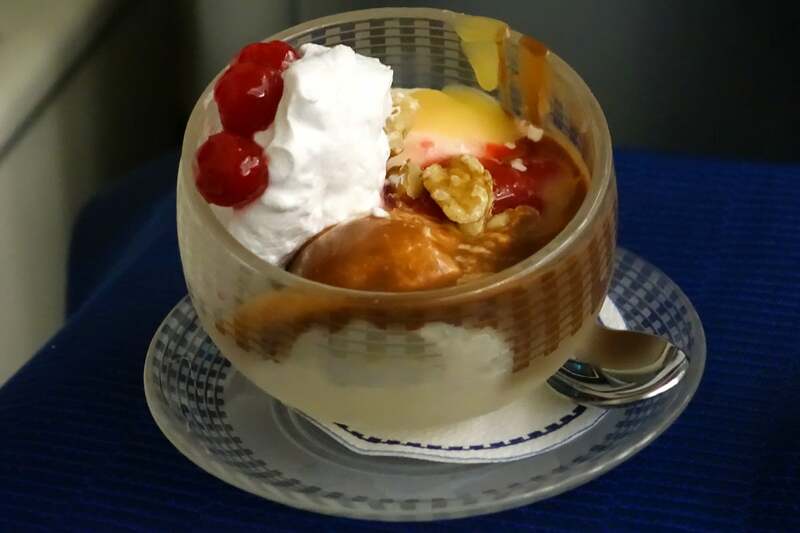 I have to admit that this sundae wasn’t quite as expertly plated as the one I had in first class. 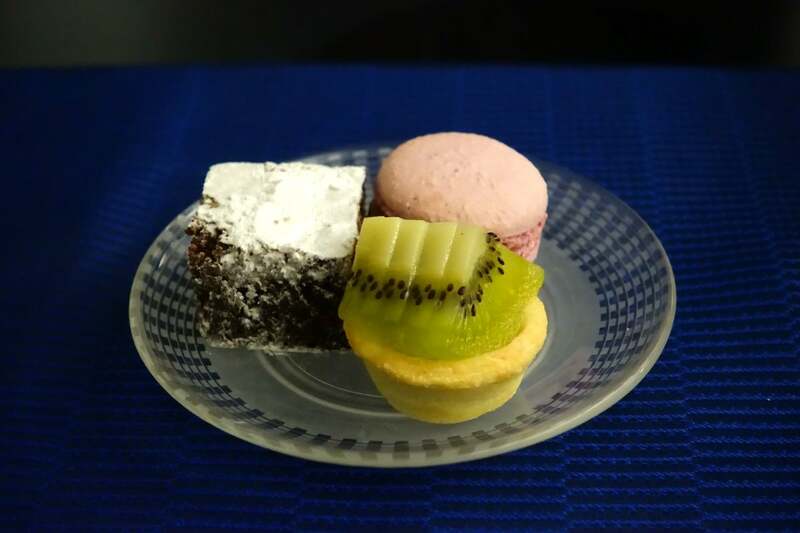 I also tried the three “Sweet Treats” — a super-moist and delicious brownie, a macaron and a tiny kiwi pie. 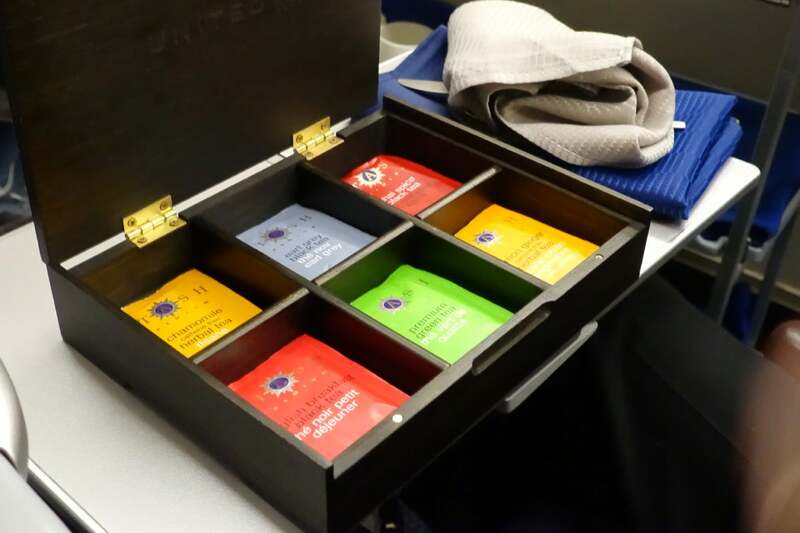 I was also offered tea or coffee — I really like this new tea presentation! 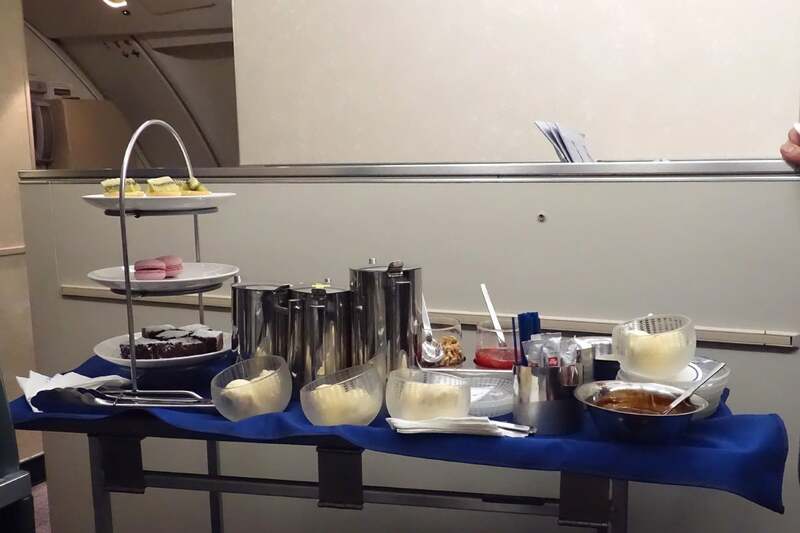 After the meal service was complete, another flight attendant came through the aisle offering water bottles. 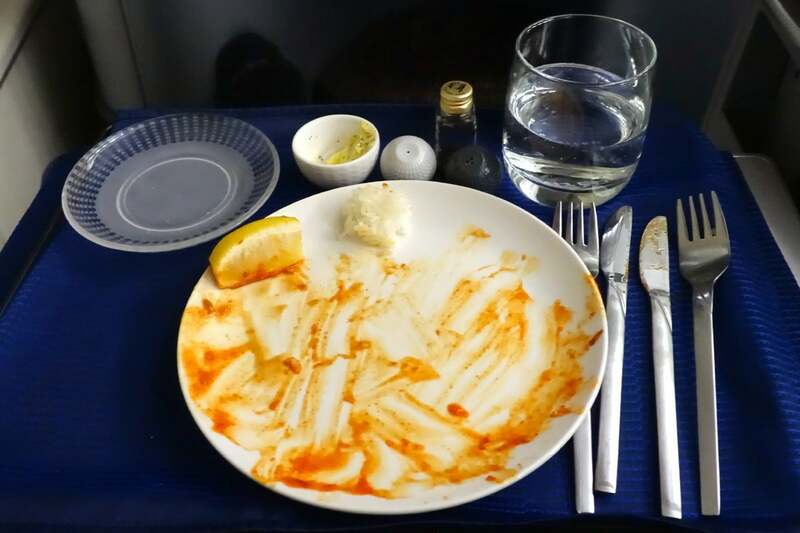 The meal service was complete about two hours and 30 minutes into the flight, which is a bit too long, in my opinion. 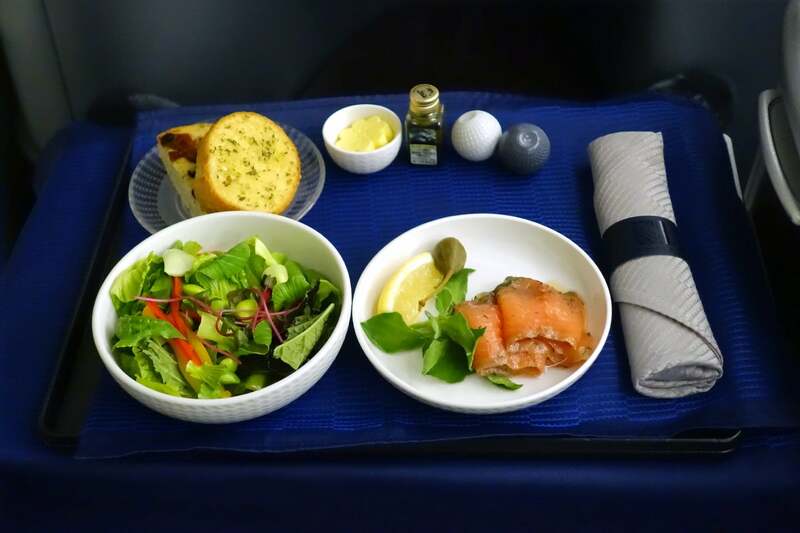 United does still offer its “Executive Dining” option (now called “express dining”), so be sure to request this if you’re hoping to get to sleep quickly (on a transatlantic red-eye, for example). Later in the flight, I spotted a self-service snack station set up just above the staircase, with sandwiches, chips and fresh fruit. 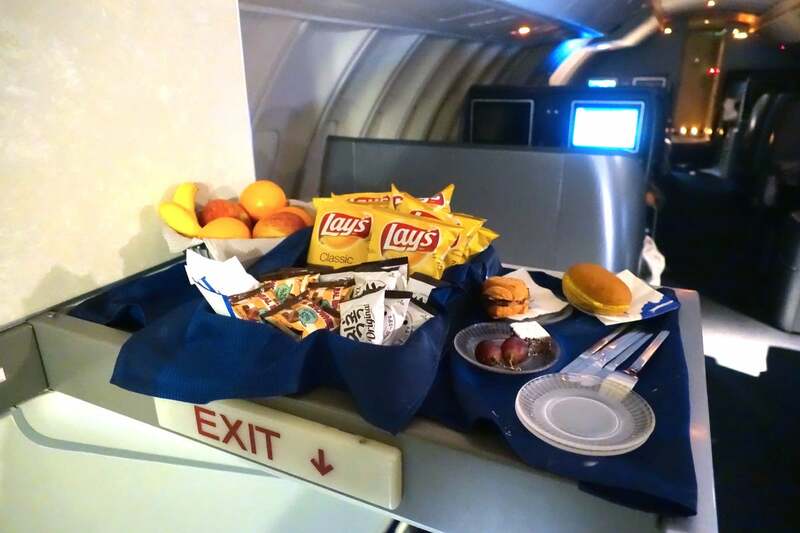 The airline’s offering hot snacks now as well. I ordered the “Kung Pao Chicken Noodle Bowl,” which consisted of a few pieces of spicy chicken and some lukewarm egg noodles. It’ll do in a pinch, but it was hardly amazing. I also ordered a Diet Coke with lemon. It looks like even Coke is in the Polaris spirit! Then, about 90 minutes before landing, I was served breakfast. I went with the Chinese-style Noodle Soup with beef. 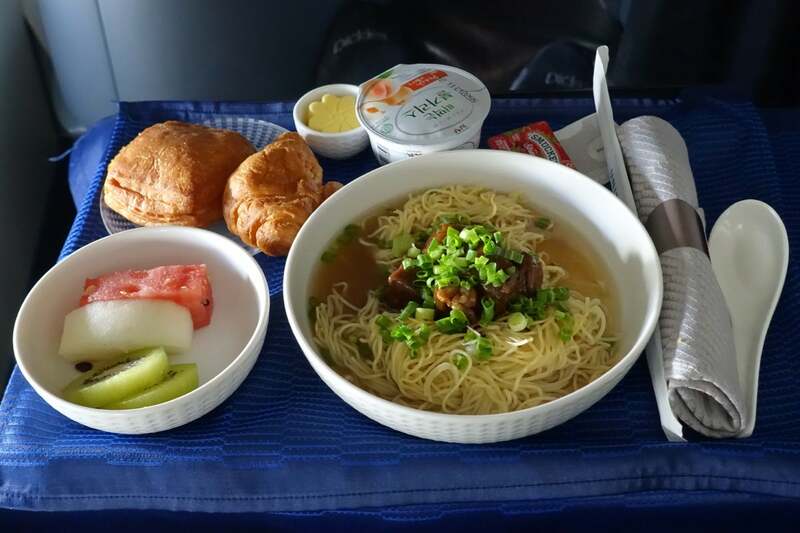 It was once again served with yogurt and breakfast breads (and all at once on the same tray), but this time around the combination didn’t seem quite as unusual as it did on the Tokyo flight. 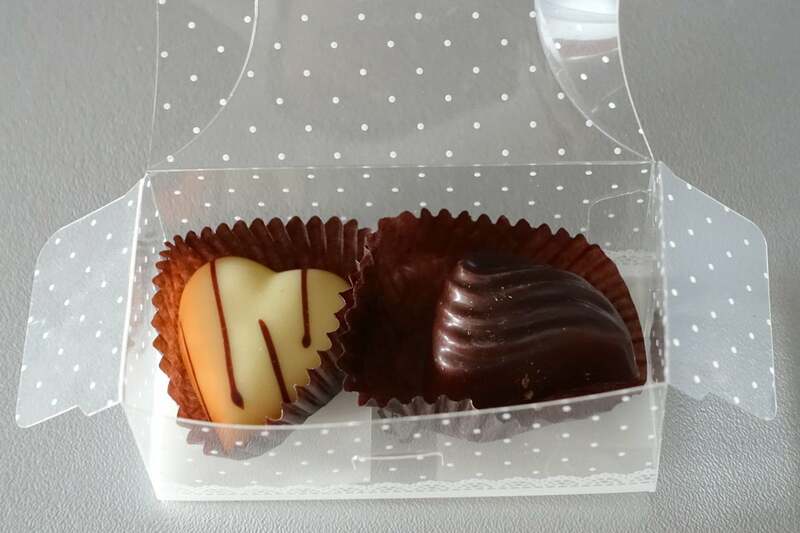 Finally, just before landing, a flight attendant came by with a parting gift of two small chocolates. 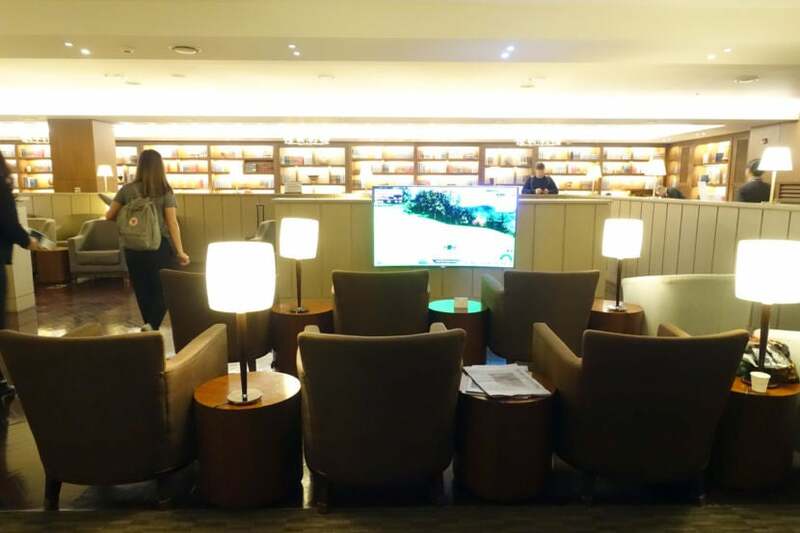 There’s no question that Polaris represents an improvement over United’s previous in-flight product, and the new Polaris Lounge is outstanding. That said, the food is still a bit hit or miss — the quality just doesn’t match some international-based competitors, though I do very much like certain aspects of the service (like the wine flight). 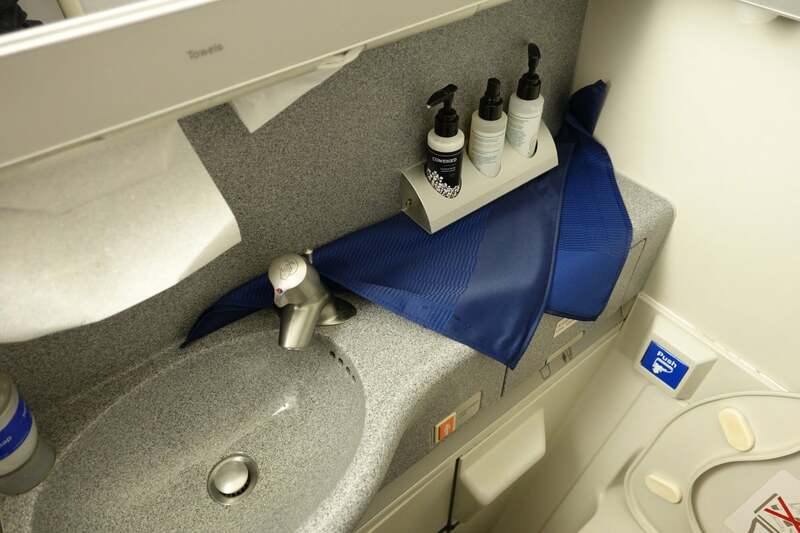 In speaking with other passengers during my flights, it’s clear that frequent travelers care much more about the “hard product” (the seat, especially) than they do about catering and amenity kits. 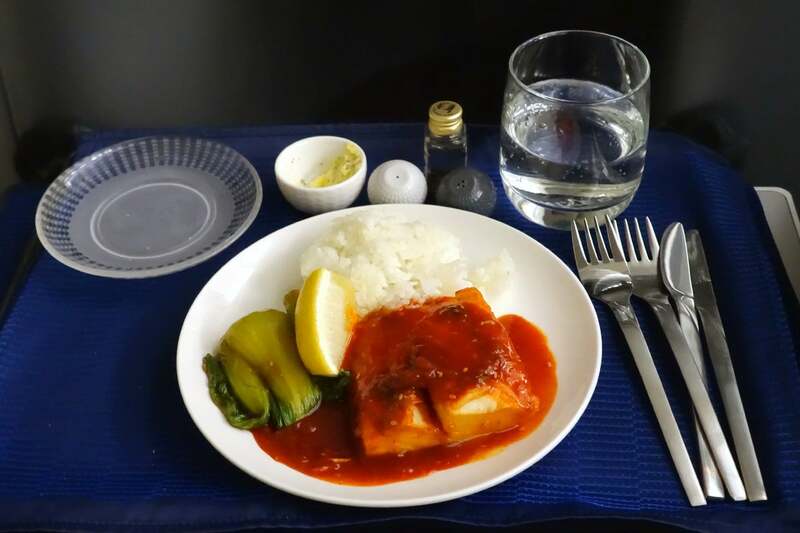 Having good food is certainly a plus, but these 747 seats are tired at best — and nobody wants to end up in a middle seat on a business-class fare. I love the 747-400 in general, but I have a feeling most United customers (in all three cabins) won’t miss them when they’re gone. United Polaris is very much a work in progress. 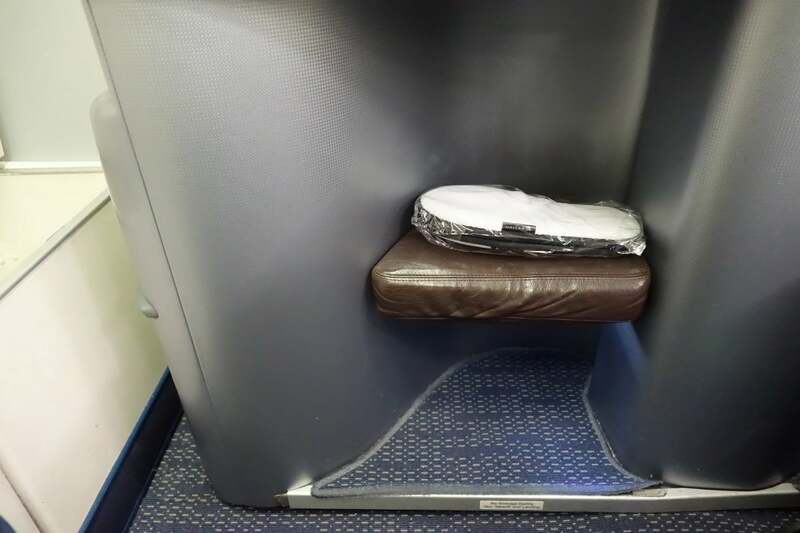 I think the airline’s on the right track when it comes to the soft product, but these 2-4-2 business-class seats need to be retired immediately. 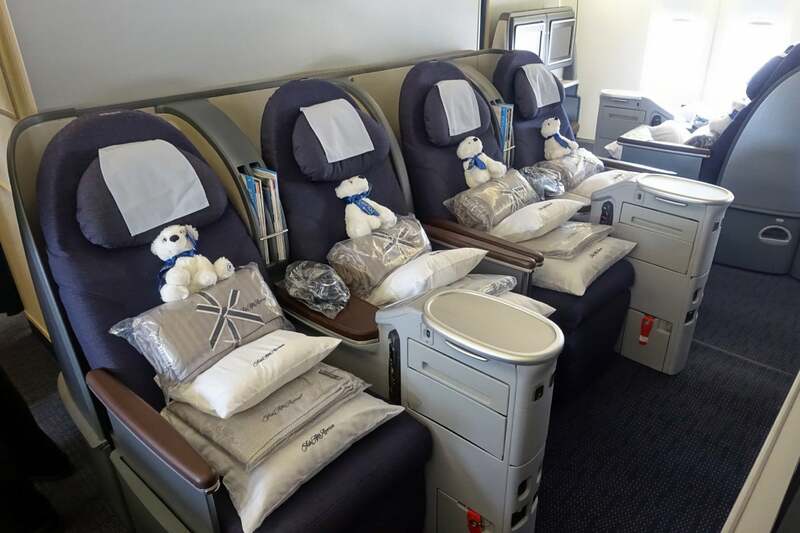 Fortunately, UA should be taking delivery of its first 777-300ER any day now (complete with the new modified 1-2-1 seats), and once the retrofit of other aircraft is complete in a few years, Polaris may very well be a product that premium-cabin passengers will go out of their way to fly. 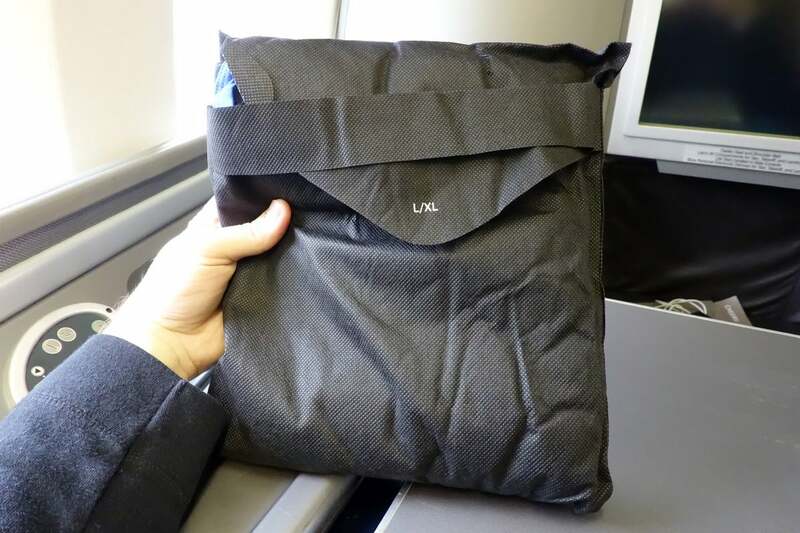 Have you flown United Polaris business?